For the first time Pilates Retreat Asia will bring the wonderful movement practice of Gyrokinesis® to a retreat. 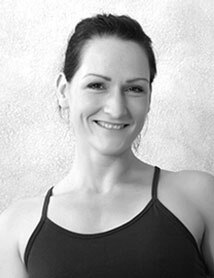 For this, we are very excited to be working with one of the best – Master Trainer Miriam Friedrich Honorio of Dynamic Arts in Freiburg. Judging from her interview below, she is as excited as we are. For more information on this upcoming retreat combining Pilates and Gyrokinesis, click here. Without describing in detail the individual movement methods – can you give us 3-5 words that describe PILATES for you and then 3-5 words that you would associate with GYROKINESIS®? Pilates for me means freedom thru strenght and stability, resting in my center, awareness, volume, breath, flow. Gyrokinesis means infinity, freedom, fulfillment, rhythm, pulsation of life. How is Gyrokinesis® different from Gyrotonic®? The main difference is that Gyrokinesis® happens without machines. It’s practically you, your stool, your mat and the universe. As in Pilates, the equipment and the floor (mat) work very much complete each other. You cannot say that one is easier than the other. Training with the machine as your partner in Gyrotonic® might be easier for some people since you get certain guidance through the resistance and it also adds challenges in terms of strength and flexibility. On the other hand, Gyrokinesis® gives you all the freedom and allows you to focus even more on the deep connections inside of your body. To me, practicing Gyrokinesis® feels very personal, individual and authentic. What are the benefits of combining Pilates and Gyrokinesis® in one retreat? Thinking of participants, that are rather new to both or one of the disciplines a benefit will be that the Pilates classes focus a lot on centering and physical stability in almost linear movement patterns. This will allow you to ‘put everything in place’, dive into certain body parts, experience muscular sensations, breath and flow. From this clear and in a way easy way of moving we then pick up breath, rhythm, flow and add undulations, spirals and circular movements to it in the Gyrokinesis® classes and create an ongoing journey through the body in more complex choreographies. Will the participants need any previous training or experience? No. The training will be built in such a way, that I take you through the movements with enough space and time to explore yourself inside the Gyrokinesis® principles. It’s important to let body and mind create awareness and we will progress thru the week with close attention to the individual bodies. This retreat will be limited to just 10 people. What are the advantages of such a small retreat group? This is the best and most ideal scenario I can think of and I am looking very much forward to such an intimate situation. It will enable me to see everybody and react on individual needs. Also, the participants can interact more and get to know each other without being overwhelmed by many different energies and characters. We will have enough time for questions without breaking the flow of a class too much and as teachers will will have time for individual consultations and private classes. Besides the movement classes, what other experiences are you excited to share with the participants? What motivates yourself to lead and teach a retreat? Knowing my own daily routines, the stress, the speed and challenges of a full schedule motivated me to take a moment to breathe, to look inward, to re-connect. During a retreat we have the opportunity to step out of our routines and focus on becoming aware of ourselves, the others around us, nature, the rhythm of life… Besides that, many of us don’t even have time for friends and real connections – spending a week with a small group of people that all focus on the same things creates a strong, nestling, powerful, energetically nourrishing situation wherein we can let go, feel supported, focus on exchange, laugh and simply enjoy ourselves, on offering and receiving. A week like this can refill and recharge and offer a tremendous energetic cushion for all the challenges that are waiting back home. And while I wish all this to the participants, I certainly also hope to accomplish the same. Thank you, Miriam, for the insight. There are still a few spots available for this retreat from March 1st – 7th 2015. Come and join us in Morocco – we are excited to connect with you!